Liverpool, Manchester City, Arsenal and Chelsea all delivered this week to help send a remarkable six English teams through to the quarter-finals of the Champions League and Europa League. This was just one of the narratives unfolding on the European stage – there was also high drama in Turin, and in the more far-flung location of Krasnodar. The domestic front also saw plenty of action. The week started with something of a gaffe. The winner of the Irish Young Player of the Year award was announced: the accolade, voted on by members of the Soccer Writers’ Association of Ireland, recognises the top talent from the Republic of Ireland. Unfortunately, voting occurred before Declan Rice switched his international allegiance from Ireland to England – it thus transpired that, in the same week he was called up to Southgate’s England squad for the first time, Rice was also crowned Ireland’s best young player. Somewhat unsurprisingly, he did not make the trip to Dublin to collect the award. He will now be hoping to be handed his England debut over the international break. 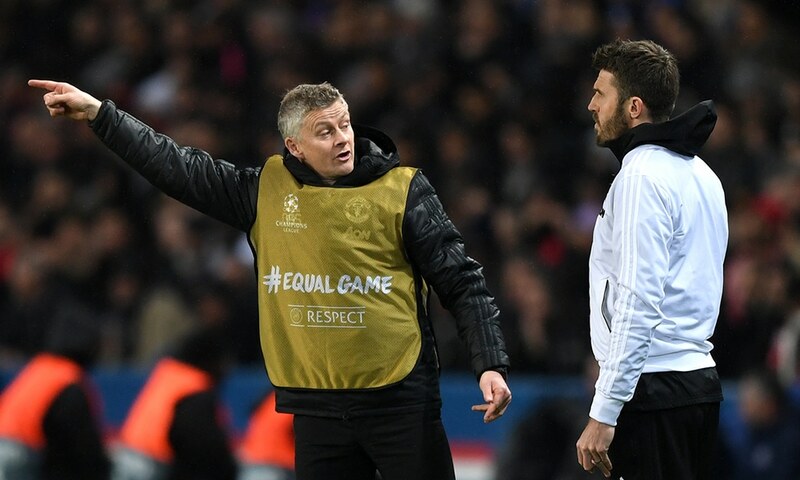 Rice has been tentatively linked with Manchester United; PSG will feel that the Red Devils are quite strong enough as it is, having been dumped out of Europe by Solskjaer’s team last week. They did at least take their chance to vent their frustrations on an unfortunate Dijon, who suffered the brunt of the Paris side’s frustrations: Marquinhos, Mbappe, Di Maria and Choupo-Moting all scored in a 4-0 rout away from home. Later in the week the French champions also brushed Marseille aside, winning 3-1 – this leaves them a ridiculous twenty points clear at the top, with a tally of 86 goals from their 28 games. This will not make up for the heartache of European elimination, however. Atletico Madrid failed to heed the warning posed by PSG’s second-leg collapse. They travelled to Turin with a 2-0 lead from the first leg, but if they thought this was safe then they were quickly proved wrong. A goal was dubiously chalked off early on for a foul on Jan Oblak, but The Old Lady would not be denied indefinitely: one, two and eventually three goals came, all courtesy of Cristiano Ronaldo. The leading scorer in the competition continues to impress on the pitch – what his legacy will be ultimately depends on goings-on away from the football field, where allegations against Ronaldo are still pending. In other Champions League action, Liverpool impressed against Bayern Munich to progress. The tie was wide open after a 0-0 draw at Anfield, but Klopp’s team shone in Bavaria: Bayern could not handle Sadio Mane in particular, whose sharp turn beyond Neuer and chipped finish provided the opener in wonderful fashion. 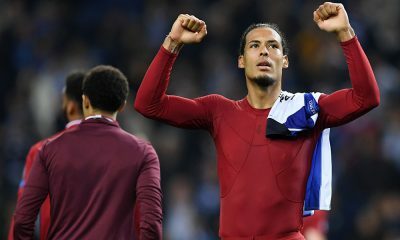 A Joel Matip own goal caused a brief scare, but Van Dijk netted at the right end before Mane sealed the win when he met Salah’s lovely clipped ball to head in his second of the night. They will face Porto in the next round; Manchester City, who progressed emphatically against Schalke, will take on Spurs in an all-English affair. Things were far less comfortable for Manchester City when they met Swansea in the FA Cup quarter- final. Graham Potter always had the feel of a long-term appointment when he joined the Welsh club – sure enough he has only led them to mid-table obscurity in his first season in charge, but he has them playing nice football that is at times reminiscent of the style that charmed the nation in the days of Michu and Co. All of the slickness was on display in the first half against the Premier League champions. Fabian Delph was bamboozled into conceding a penalty: this was entrusted to Grimes, who managed to avoid emulating teammate Bersant Celina’s hilariously bad sideways scuff from earlier in the week. Celina himself, formerly of City, then completed a passing move worthy of his old team to make it 2-0 to the hosts. This began with goalkeeper Nordfeldt, who Guardiola probably wants to sign after his performance; aside from the tidy footwork he made some astounding saves, which for a time looked as though they would be enough to produce a famous result. It was not to be, however. Bernardo Silva got City on the comeback trail with twenty minutes to go with a lovely finish, and from here poor officiating took over. A penalty was incorrectly awarded – Aguero’s effort missed but bounced in off the keeper’s back via the post. Aguero then scored the winner from an offside position with minutes to spare. City will not care about the method however, but the result: the quadruple dream remains alive by the skin of its teeth. Back in Europe, FC Krasnodar also experienced late heartbreak. They were not quite as heavy an underdog as Swansea in their tie against Valencia, but the Spanish outfit were clear favourites to progress – the Russians had given themselves a chance with an away goal in the 2-1 defeat at the Mestalla, but qualification for the quarter-final still looked a tough ask. Despite chances for both sides it looked as though the game would fizzle into a 0-0. With five minutes to play, however, substitute Suleymanov looked to have sent Krasnodar through with a sensational curling effort into the top corner. It gave the hosts the advantage on away goals, and would have been a worthy strike to win the tie; Goncalo Guedes found an equaliser deep into stoppage time, however, showing brilliant composure to control and finish after an equally impressive pull-back from Kevin Gameiro. Arsenal also completed a Europa League turnaround, overcoming a 3-1 first-leg deficit against Rennes with a 3-0 win at The Emirates. The French side can rightly feel disgruntled that a blatant offside was missed in the build-up to Arsenal’s second, but in truth the Gunners were far the better side on the night. Aubameyang celebrated the clinching goal by donning a mask – his Spiderman days are behind him, replaced by a Black Panther mask. A super performance will certainly be needed in the next round: Arsenal have drawn Napoli. 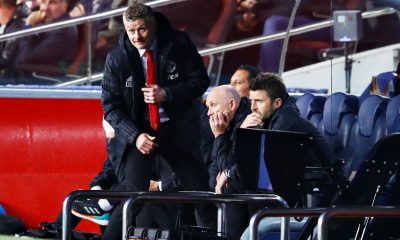 The late Europa League kick-off ensured Thursday night drama continued right to the last – Sevilla could not emulate their Spanish counterparts, and were eliminated from the competition by Slavia Prague. A 2-2 home draw meant that the second leg was always bound to be hard work: extra time seemed to be the one scenario that could almost certainly be discounted, but the teams did in fact play out another 2-2 in normal time. Sevilla twice came from behind to extend their stay of execution in their favourite competition, and it looked like they had done the necessary when Franco Vasquez gave them a 98th-minute lead. They conceded an equaliser just four minutes later, however, and in the final seconds Traore made it 4-3 to Slavia Prague. This marked a famous night for the Czech side, and the end of the road for Sevilla boss Pablo Machin. Messi may be sorry to see the back of him – he scored a hat-trick against his team last month. Then again, Messi can score hat-tricks against anybody: he bagged another last night against Real Betis, taking the applause of the opposing fans when he capped it with a sumptuous chip over Pau Lopez. He is truly a joy to watch. A more surprising managerial departure came at Oldham. Paul Scholes has only been in the job a matter of weeks, but tendered his resignation with immediate effect after an underwhelming start – he seemed dissatisfied with the realities of the role in comparison to what he was offered. 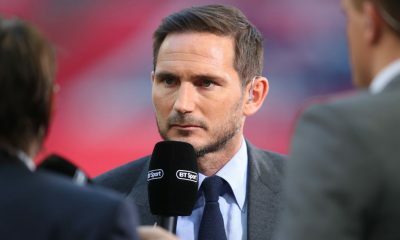 This represents a failure to take to management as quickly as contemporaries Gerrard and Lampard, both of whom at least look on track to complete a full season. Who knows, though: perhaps ten years from now people will inexplicably declare Scholes to have been the greatest manager of his generation.